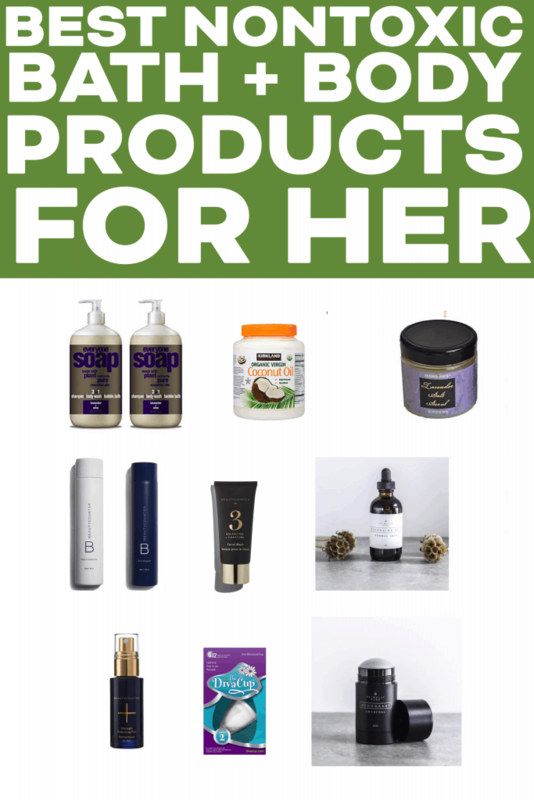 My favorite non-toxic bath and body products for him and her my husband and I use to have a safe toxic-free and chemical free home! 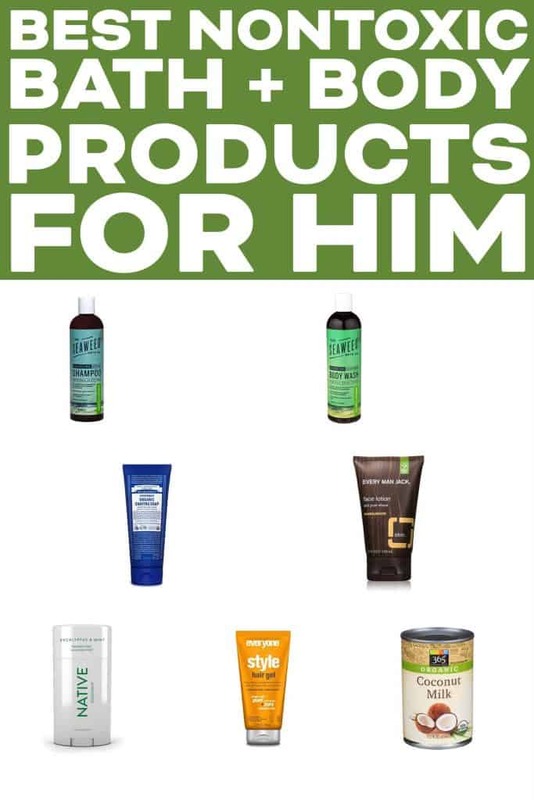 The best products for the shower, body and dental care for both men and women. Plus, a video of my nightly skincare routine. Along with eating clean and putting the purest food IN my body, it’s also important to me to put toxic and chemical free products ON my body. This way I have a healthy and clean living home that is safe for me and my family, and supports a healthy planet. Win win! There are TONS of options out there. 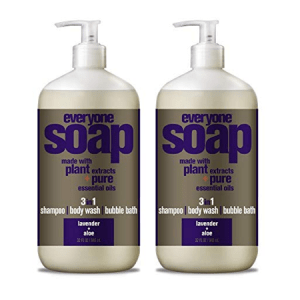 I always check EWG to see their rating on a product to make sure it is safe to use. I especially love the EWG app so I can scan items to know how safe they are! In the above video I show you my favorite non-toxic bath and body products for a girl. I originally made this video for my Instagram Stories. 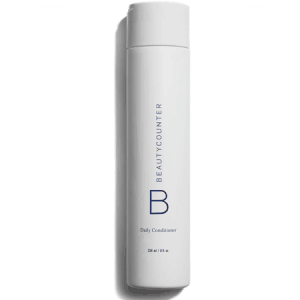 In the above video I show you how I use the Primally Pure Cleansing Oil and Beautycounter Overnight Resurfacing Peel. It is amazing! You can see how it easily removes all my makeup, and leaves my skin glowing! I love this soap as my body wash. It is plant based and scented with pure essential oils. It foams up, and leaves me feeling clean. I use it as a shaving cream too. 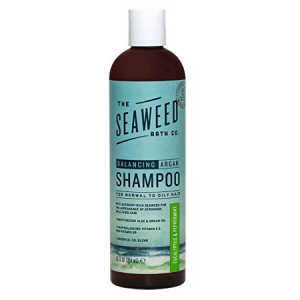 Free of all chemicals and EWG verified! Super affordable too. It’s available in a lot of stores, I’ve seen it at Whole Foods, Sprouts and Target! 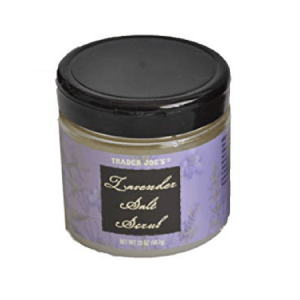 After using my body wash, I do a scrub with this lavender salt scrub from Trader Joe’s. (I linked to it on Amazon, but it is WAY cheaper in store!). It is filled with salt and natural oils. It exfoliates, and the oils in it leave my skin smooth after so there is no need for lotion after my shower! Plus, it smells great. This non-toxic shampoo lathers up great! It gets my hair clean, and smells great too. It is rated a 2 on EWG. I bring it with me when I get my blowout every 2 weeks. I’ve trained my hair to go an entire 2 weeks without having to be washed! And I filmed this hair hack I use to show how I keep my curls to last for at least 1 week. 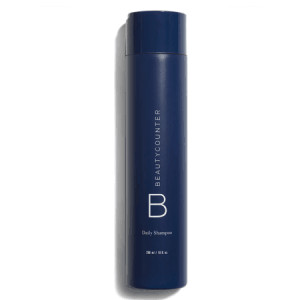 This conditioner leaves my hair smooth and shiny. 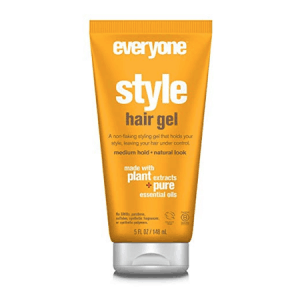 Hydrates my hair perfectly. It is rated a 3 on EWG. Use code TASTESLOVELY to get 10% off your Primally Pure order! Sorry for yelling at your eyes, BUT THIS IS THE BEST FACIAL CLEANSER I HAVE EVER USED! It is both my face wash, makeup remover AND facial moisturizer all in 1! My skin has NEVER looked better! I used to use foaming cleansers to remove my makeup and wash my face. 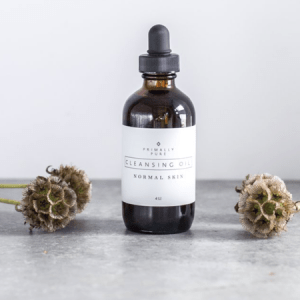 I had a hard time finding a non-toxic cleanser that I loved that would both clean my face and remove my makeup. Then I found primally pure and I love it so much I could marry it. It is an oil cleanser, which was weird for me to get used to at first since I was used to a foaming face wash. But after using it once I’ll never go back. It feels like a massage oil, and it smells amazing. It is made with the most natural organic ingredients: Sunflower Oil, Castor Oil, Jojoba Oil, Avocado Oil, Pomegranate Seed Oil, Essential Oils of Orange, Lavender, Geranium and Peppermint. To use, you massage a whole dropper full of the oil onto your dry face and eyes. It “melts” all the makeup, and the oil cleanses your face without stripping your natural oils. Then you get a wash cloth wet with warm water, and wipe it all off. All the makeup comes off on your wash cloth, and the wash cloth also works as a gentle exfoliator as you wipe it in on your face. I do this at night when I shower before bed. Then after I shower, I use another whole dropper to be my moisturizer that I rub all over my face and neck. It absorbs overnight, and I wake up in the morning with glowing skin. The next morning I don’t do anything to my face, and put my makeup right on top of my slept on skin. 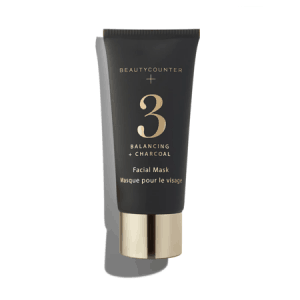 To prevent wrinkles and age spots, and to minimize pores I use this Beautycounter Overnight Resurfacing Peel every other night. After I cleanse with my Primally Pure Cleansing Oil, I put on 2 pumps of this resurfacing peel to my face and neck. It tingles a bit. I let it dry for 2 or 3 minutes, then put on a whole dropper of my Primally Pure Cleansing Oil on top as my moisturizer. I love this charcoal mask! It’s hydrating, and leaves my skin feeling smooth and soft and bright. I do a mask once every week or two. I also put a dab of this mask on a blemish overnight, after I put on my primally pure cleansing oil. It helps draw out the impurities and clear it up! Finding a toxic free and aluminum free deodorant that actually works took me the LONGEST! I went through so many. 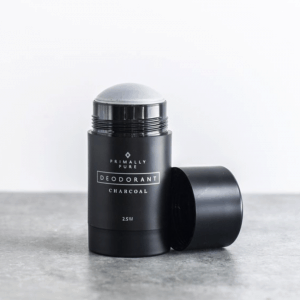 I finally found Primally Pure Charcoal Deodorant, and I like it even more than the Dove deodorant I used before. I’ve never been a sweaty person, but I definitely can work up a stink, ha! Using this deodorant, I have absolutely no smell WHATSOEVER! Even when using Dove I would have a smell by the end of the day. Not with this Primally Pure! Works way better than Native Deodorant was working for me. It goes on clear. I put it on at night after I shower, and don’t have to reapply in the morning. It works a full 24 hours. Remember it may take up to 2 weeks for your body to adjust to a natural deodorant. So if you have a smell those first 2 weeks don’t give up! My favorite scent is this charcoal one. The blue tansy, the geranium and the lavender smell too strong for me. The charcoal has barely any scent, so I can just smell fresh and like myself. If my hands or skin is ever feeling dry, especially in the winter, I use coconut oil as a lotion. It works and smells great! 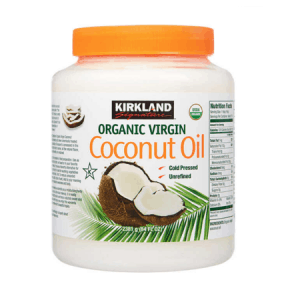 Any organic virgin coconut oil will do. I love the big tub I get at Costco. Cotton tampons are bleached and have chemicals. 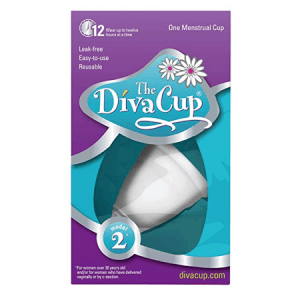 To avoid them, I use a menstrual cup and I love it so much more! You can wear it for 12+ hours, it never leaks, and despite how it looks is comfortable to wear. There are tons of tutorials out there which explain how to use it. 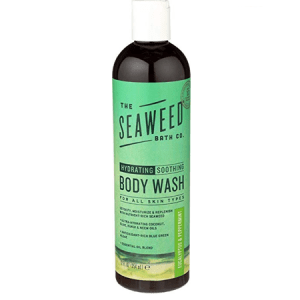 Shawn loves this non-toxic body wash. It foams up, gets him clean, and he loves the smell. This non-toxic shampoo gets Shawns hair clean, suds up, his hair is still fluffy, and he loves the smell. 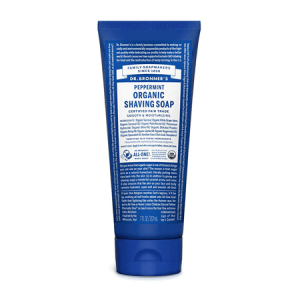 Even though this is a shaving soap, Shawn uses this as his face wash! Shawn originally got this to use as a shaving cream, but didn’t like it as a shaving cream. He said the razor still pulled too much when shaving. But he loves it as a soap. It foams up, is made from plants and essential oils. I also tried this as a face wash, but found that it was too stripping and left my face way too dry. I’m trying to convince Shawn to switch over to my Primally Pure Cleansing Oil. Wish me luck! Haha! 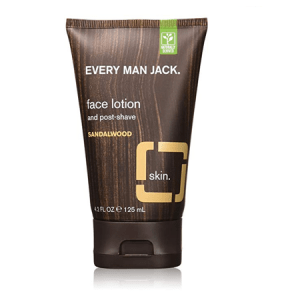 Shawn loves this as his facial lotion. It hydrates his skin, and he loves the smell. Shawn likes a gel with light hold, and this one is perfect for what he needs! 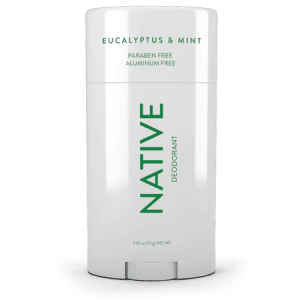 Shawn loves the Native Deodorant in the Eucalyptus & Mint scent. Shawn never sweats, but can get a little bit of armpit smell (not as much as I do, ha!). Native works perfect for him. After using it he has no smell issues at all. Shawn had the worst time finding a shaving cream he liked. All the shaving soaps he used didn’t give him smooth enough shave, and the razor would pull the hairs and give him razor burn or ingrown hairs. 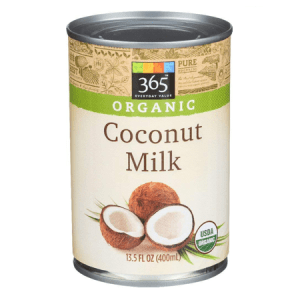 He opens a can of coconut cream (the best one to use is this Whole Foods 365 full fat coconut milk, or Sprouts brand coconut cream. The only 2 that will work.). He scoops out the cream and leaves behind all the coconut water. He lathers up his face with the Dr. Bronners Shaving Soap first. He leaves the soap on. Then he rubs on the coconut cream in sections, and shaves right away. The coconut cream liquifies once it touches your body heat, so he does it in sections so he can move fast before it melts too much: mustache first, then 1 cheek, then the other. After he’s all done he rinses it with warm water. The coconut cream also works as a moisturizer, and he says it’s the best shave he’s ever had. He only shaves once or twice a week. 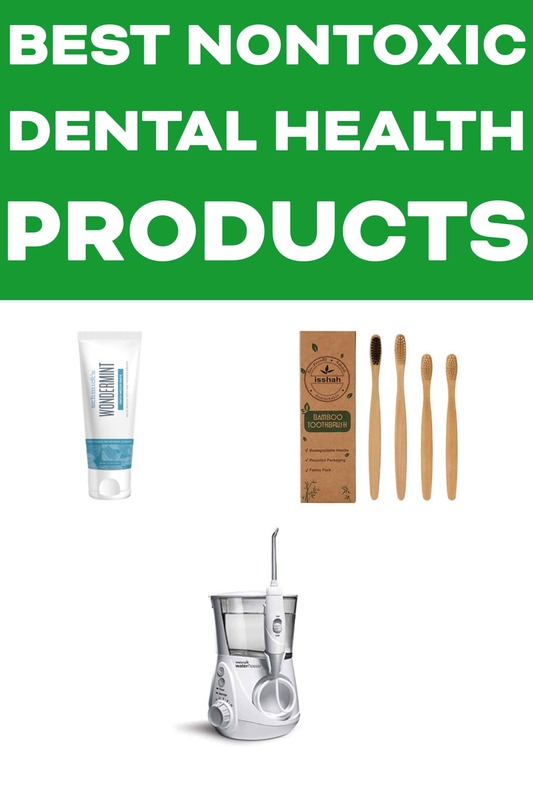 Here are the best non-toxic dental care items Shawn and I love. 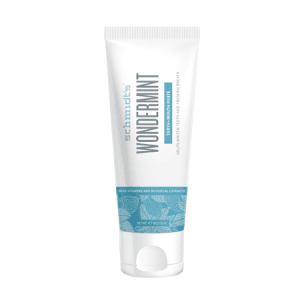 This toothpaste works great! Would never guess it was toxic free. It’s free of artificial sweeteners and dyes. 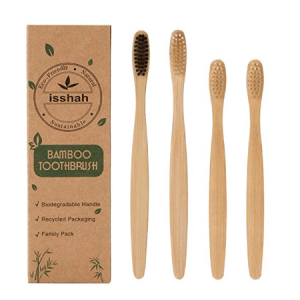 I changed us over to bamboo toothbrushes to avoid plastic waste. The handles are biodegradable. The bristles are still nylon (not biodegradable), so it feels like a regular toothbrush. I tried some natural bristle toothbrushes, and the bristles come out and get stuck in your teeth and I haven’t been able to find a 100% perfect solution, so this is the best for now. 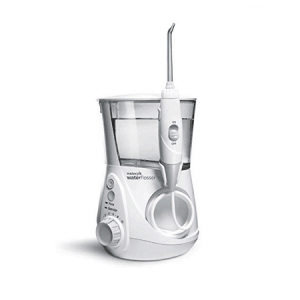 Most floss are coated with PTFE. I tried some natural floss, but they were super thick and it felt like flossing with piano wire. Haha! Solution? A water pick! And I actually like this way more than floss. I feel like it gets my teeth way cleaner. Plus, it’s less plastic waste for a landfill. Bonus? My kids are obsessed with this! It makes brushing their teeth so fun to be able to use this fun water pick. We do it while they’re in the bath. Brushing their teeth was the biggest struggle with my 3 year old. But once we got the water pick brushing his teeth was fun! Haha! I wish I had a secret explanation or trick. My hair has never been oily, it’s in my genetics. I used to go just 3ish days. Then I had a kid and found myself going way longer because who has time to wash their hair all the time when you have a baby?! I think the longer stretches my hair has adjusted and now I can go 2 weeks between washes! It’s so great!